I spent much of this morning trying to get my 3DCart products to export a google data feed and had a couple of problems. I was unable to find the answers online so I thought I’d share what I did to solve it. If you are looking for the solution, don’t do what I did, skip to the end. First, I was getting the error “Too many column delimiters”. Basically, it was reading the commas in the title and description and thinking that signaled a new field. Which it shouldn’t do because the data used quoted fields. But whatever! I went through all my products and replaced every comma in the title or description with the character code for it, which is “&#44;” (without the quotes). What a pain. After that I tested it and received another error. Something about the date format being wrong. It was right, but it was including the quotes. Again, it should have just used those to determine what data was a field but whatever! So after a little digging I found that if I click on “Settings” under the data feed, one of the options was “Use Quoted Fields”. This option is not available when you first create the new data feed. I changed that to yes and all was right in the world. Then I got to thinking, could I have skipped all that work replacing the commas and just changed that one setting? I tested it and sure enough, it worked. So, if you are having this same problem, change that setting FIRST! I recently switched my MolonLabeShop.com website from Zen Cart to 3DCart and so far I am loving it! Here are some initial observations. Had to switch from my own hosting service to a 3rd party. That costs money. Cost is more than getting affordable hosting elsewhere. They handle all updates. With Zen Cart even if I was just updating to a new version it could take longer than security updates. And it could (and usually did) break my site. Shipping method on packing slip. Sounds minor but it was a big deal to me, when I’m in the shipping room with a stack of packing slips I need to know what shipping method they chose. Inventory control by attribute. If you sell shirts for example, you probably have multiple sizes and colors. With Zen Cart if I said I had 12 shirts it didn’t care what sizes I had. I might have 3 of each size but Zen Cart would accept orders for 12 of one size and then say the product was out of stock. So now I have orders for 9 shirts I don’t have and I have 9 shirts Zen Cart wouldn’t sell. Major Issue! With 3DCart I can list how many I have of each size/color combo. That’s all I can think of right now but I’ll probably add more as I think of them. If you are starting a shopping site or already have one, I highly recommend you check out 3DCart. It does cost at least $20/month though so keep that in mind. If you are looking into getting set up to accept credit cards, I highly recommend you avoid First Data. When I set up my checking account at my bank they asked if they could have their merchant services guy call me to give me a quote. I was already looking into another provider (Payment Alliance) but thought what the heck. The First Data sales guy, Charles DeFelice called me later that day. Since they offered a portable machine and slightly better rates I signed up. I was in a hurry as I had my first show in three weeks and wanted to be setup to take credit cards by then. He sent me the forms to sign, which I did and sent back. I skimmed through them because I am no fool, I’m not going to sign something without reading it. The only thing that seemed strange was the check box that said I had read the “Complete Program Guide” which is a 46 page book. I checked it anyway but when I sent it back to the sales guy I told him I’m doing this because I’m in a hurry but I wanted a copy of it to review. He assured me I would receive it in the mail. At the time I thought I was setting up my merchant services account, and the lease for the machine would come after that. I still had not seen any terms for the lease. It turns out that was lease for the machine. I didn’t notice the small “Page 7 of 7″ at the top of the page. The sales guy had told me it would cost $40/month for the machine. I had searched for the machine online and saw it available for about $600 – $700. Turns out the lease was actually $44.95 per month… for 4 years! He also told me at the end of the lease I own the machine. Wrong again, I either have to return it or “Rent” it for the same monthly payment. I tried to cancel the lease but was told it was not cancellable. I had my lawyers right them a letter and they still denied it. In fact they enclosed the complete lease agreement that I signed. All pages. The other pages that I never saw, the ones with the terms had my initials typed in to indicate I read and agreed. I talked to another lawyer and he basically said I have a case but the expense to get out of the lease won’t be worth it. I’ve had this machine for 9 months now and have never used it. I think I will just need to accept that I’m screwed and warn everyone else. Come to find out these tactics are standard procedure for First Data. I found this page with many other victims sharing their experience. One of my projects is finally live. We are donating 50% of the gross profits from this site to the non-profit organization we feature. 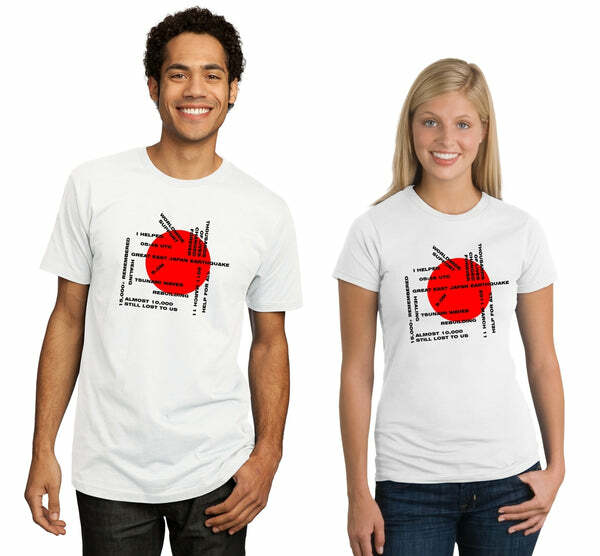 The first design is benefiting the American Red Cross’ disaster relief efforts to help those affected by the earthquake in Japan and tsunami throughout the Pacific. We aren’t really doing any advertising for this, just relying on word of mouth to spread the word. So please help us by clicking the “Share” button and share it with whatever social media you use. One of the biggest pitfalls new entrepreneurs face is a fear of getting started. You might not admit it, even to yourself but you might be afraid to get started. This is especially bad if you just quit your job and are on your own full time. Many people will use this new found extra time to get caught up on home repairs, or fix up a rental property they may own. I’m sure it’s all very important but what would you do if you still had your day job? Well guess what? You do still have a day job, your own business. And failure is not an option. Another thing new entrepreneurs will do is endless preparation. They will spend weeks coming up with a logo or the perfect website. Or setting up their new office space and shopping for equipment. Some of it is necessary but much of it is fluff. I would avoid big ticket purchases if possible until you have some money coming in. Maybe you don’t really need that shiny new iMac, maybe your old laptop is adequate at least for the time being. And your logo doesn’t need to be absolutely perfect before you start. In my opinion, the best logos are the simplest. I too have spent too much time designing logos and usually end up going with my first, simple design I did in the first 10 minutes. So stop planning. Stop putting off the inevitable and start talking to potential clients. Ask everyone you know for referrals. Join a networking group. Start going to social networking events. Give your business card to EVERYBODY! They are cheap and even if the person you give it to isn’t interested, they might know someone who is. Get Back to Work! So I was at the bank yesterday opening a new business account for a new startup I’m working on. The banker I worked with was the same lady that opened up my last business account, less than two months ago. (More on those later) So when she asked me what my occupation was I said “Persistent Entrepreneur”. Seriously, I work for myself full time and have a few other side businesses I’ve started on the side. And that’s just what’s going on currently, that doesn’t account for my past conquests (or failures, depending on who you ask). So anyway, I thought that was pretty clever so I just had to get the domain name thePersistentEntrepreneur.com. One thing you should do as a small business owner is come up with an elevator speech. What is an elevator speech? It’s a short description about what you do. The idea is to get your point across in the time it takes to ride an elevator. You should use your elevator speech anytime you meet someone and are asked “So, what do you do?”. It should be short enough to not bore them to death but still get the point across. And please, try not to make yourself sound like a pushy sales person. Here’s an example of an elevator speech similar to what I use for my printing business. This is short enough to retain the listeners attention and now he knows exactly what I do and knows how to contact me if he needs my services. Plus I gave an example of how I helped one of my clients. This is handy because while he might not need my services it could trigger a referral from him. Perhaps his sister is starting a new business and needs business cards, pens and a window sign. A well crafted and well presented elevator speech can be a powerful tool in your tool box for gaining new clients. Next time someone asks you what you do, what will you say? In a recent post I mentioned sending greeting cards as a way to keep in touch with clients. Well, I liked SendOutCards so much I signed up as a distributor. If you are interested in using SendOutCards to keep in touch with your clients or if you are interested in becoming a distributor yourself, contact me. I’ll show you how it works and you can even send a card or two on me. When you’re just starting out with a new business…. or anything for that matter… nobody expects you to know everything. Nobody was born knowing the difference between a sole proprietorship and an LLC, or how to set up a facebook fan page. So don’t be afraid to ask. Too often people will let pride get in the way and it seems they would prefer to make the wrong decision than to admit they don’t know. Everyone who has the answers was told by someone. Whether they learned it in school or searched google for answers, somebody supplied them with the answer. So don’t be afraid to ask. Your Logo – Keep It Simple Stupid! It may be tempting to create a big, flashy, full color logo at first. Resist the temptation! Eventually you will want to print it on shirts, pens, golf balls, etc. A big, flashy, full color logo will either be prohibitively expensive to print or won’t be possible to print at all. The fewer colors the more affordable it is to print as well. Think of some big brand companies logo’s you’ve seen and recognize. I bet they are either one or two colors and are very simple.